The Royals need to acquire starting pitching this offseason. This is fact, not opinion. The mantra this season, as we have watched Luke Hochevar and Jonathan Sanchez get torched on the mound, is that the Royals will need to acquire two quality starting pitchers this offseason in order for this team to take the next step. For a complete list of 2013’s free agent class thus far, click here. From that list, I’ve compiled a list of who I think the Royals definitely should go after and those who they might consider. 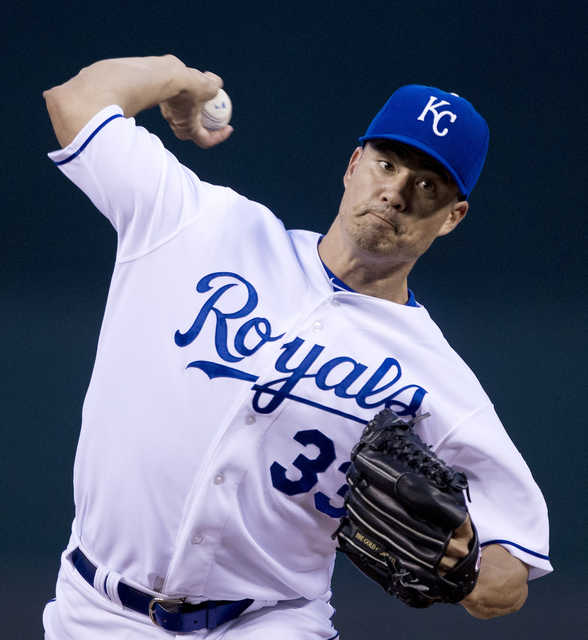 Jeremy Guthrie RHP (age 34, $8.2 million, career: 9 years, 54-77, 4.28 ERA, 5.5 K/9, 2.6 BB/9, 1.309 WHIP, 15.7 WAR): Re-signing Guthrie has to priority no. 1 or 1a for Dayton Moore this offseason. He has been undoubtedly the team’s most consistent starter this season, going 4-3 with a 3.00 ERA, a 1.103 WHIP, and 5.8 K/9 to just 1.6 BB/9 while averaging 6 2/3 innings per start. He’s no ace, but this organization needs consistency from a pitcher who eats innings and always gives them a chance to win. Not to mention, Guthrie has said on more than one occasion that he could see himself with this team going forward. Given his age and track record, a two-year, $14-$18 million deal seems logical. Zack Greinke RHP (age 28, $13.5 million, career: 9 years, 90-78, 3.77 ERA, 8 K/9, 2.3 BB/9, 1.246 WHIP, 29.4 WAR): Zack is a guy, almost no matter who else you have in your rotation, that every team has to pursue. He’s young, dominant, and consistant. His clubhouse manner could stand some improvement, but by now I wouldn’t expect it to change. 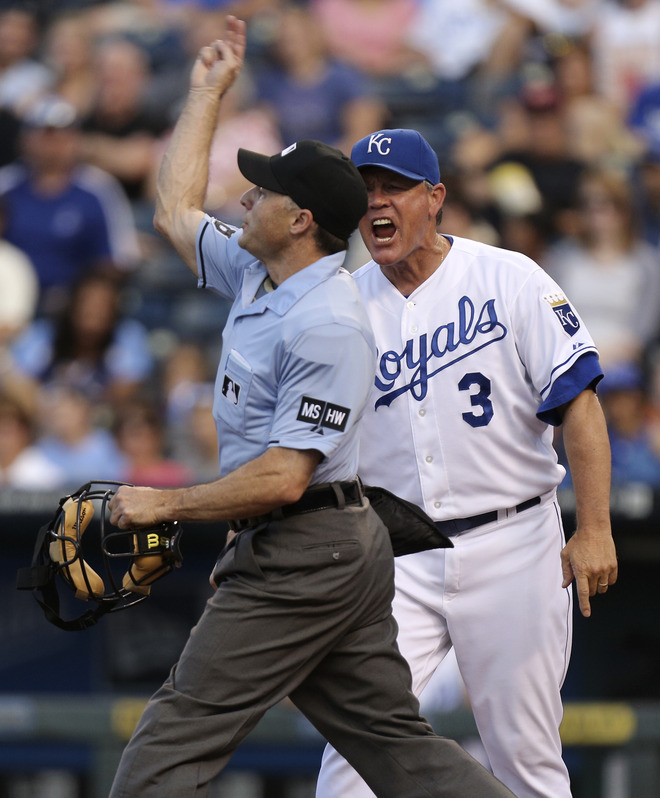 Greinke is a small-market type of guy and still owns his apartment in downtown KC. Is a Greinke-Royals reunion possible? Yes. Likely? Probably not. But he’s the cream of the crop this offseason, so the Royals have to at least entertain the thought. He’ll likely be seeking a contract that exceeds $100 million; so unless David Glass ponies up, consider this a pipe dream. Shaun Marcum RHP (age 31, $7.72 million, career: 7 years, 55-36, 3.79 ERA, 7.4 K/9, 2.8 BB/9, 1.225 WHIP, 12.8 WAR): Marcum is a legitimate target for the Royals this offseason. The Excelsior Springs native has been consistent throughout his 7 year career with both Toronto and Milwaukee but has stayed well under the radar as far as popularity goes. He won’t blow anybody with his fastball, which sits somewhere between 86-90 mph, but it’s his ability to locate his six different pitches, as well as his 3/4 to almost sidearm throwing slot, that allows him to be successful (four-seamer, two-seamer, cutter, changeup, slider, curve). A contract in the neighborhood of 4-5 years for $60-$75 million could and should get a deal done. Anibal Sanchez RHP (age 28, $8 million, career: 7 years, 47-51, 3.81 ERA, 7.6 K/9, 3.4 BB/9, 1.357 WHIP, 13.3 WAR): Anibal Sanchez is one of those guys who could fall anywhere between the borderline number one to a dependable number three. His low-to-mid 90’s fastball sets up his sinker-slider combo well, allowing him to be equally effective aginst both right and left-handed hitters. On top of that, he’s averaged exactly 6 innings per start throughout his career (142 starts, 853.2 IP). He was dealt to Detroit at the trade deadline this season and has been knocked around a bit by AL lineups (10 starts: 3-6, 4.55 ERA, 1.416 WHIP leading me to believe that he may be better suited for the National League. Regardless, he’s an attractive option for GMDM to consider. He’s likely headed for a 5-7 year deal between $80-100 million. Brandon McCarthy RHP (age 29, $4.275 million, career: 7 years, 37-39, 4.02 ERA, 6.1 K/9, 2.6 BB/9, 1.284 WHIP, 8.4 WAR): Brandon McCarthy seems to have figured out what works during his time in Oakland. During his two seasons with the A’s, he’s 17-15 in 43 starts with a 3.29 ERA, 6.3 K/9 to just 1.6 BB/9. He utilizes his two-seamer and cutter to induce more groundballs, in turn lowering his homerun percentage and walk rates. He does come with injury concern, however. 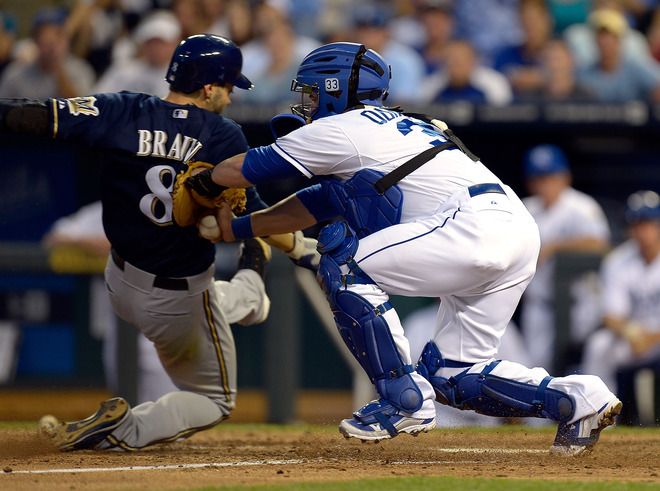 He’s had a stress frature in his right shoulder blade back in 2007 and elbow inflammation in 2008 – the latter causing him to miss nearly all of the 2008 season. To add insult to injury (pun intended), McCarthy took a line drive to the head earlier this month which fractured his skull. He’s recovering well, but definitely will not pitch again this season. Despite his injuries, McCarthy has found his natural rhythm on the mound and is capable of being a solid no. 2 to no. 3 man in a rotation. He’ll likely demand 5 years and somewhere between $55-60 million. He possibly could command something similar to what CJ Wilson got last season (5 yr, $77.5 million). Edwin Jackson RHP (age 29, $11 million, career: 10 years, 69-70, 4.36 ERA, 6.9 K/9, 3.5 BB/9, 1.433 WHIP, 12.1 WAR): The Royals were “in” on Jackson last winter before he decided to take his talents to D.C. on a one-year, $11 million deal – which the Royals were clearly unable to match. Up until the past few seasons, he was one of those guys who was described as “a thrower, not a pitcher”, which has lead him to bounce around from team to team. He debuted with the Dodgers in 2003, was traded to the then Devil Rays in 2006, who then dealt him to the Tigers following the 2008 season. A year later, Jackson was shipped to the Diamondbacks as part of the Curtis Granderson-Austin Jackson deal. He threw a no-hitter with the D-Backs, even though he walked 8 and hit one that game. 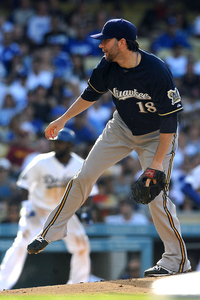 Near the trade deadline of 2010, the Diamondbacks sent him to the White Sox. On July 27th 2011, Jackson was traded twice – first to the Blue Jays, who then shipped him to the Cardinals. After declining arbitration from St. Louis, he became a free agent. Cue the Nationals, and here we are. Since being traded to Chicago in mid-2010, a light has turned on for E-Jax – he’s 25-21 with a 3.69 ERA, 7.6 K/9 and 2.6 BB/9. His four-seamer and two-seamer sit around 95-96 mph on average; he also throws a hard-biting slider, a changeup, and a curve in the upper 70’s. Given he’s making $11 million this season, he’ll most likely be looking for something in the $12-15 million range on a 4-6 year deal. Paul Maholm LHP (age 30, $4.25 million w/ $6.5 million club option, $500K buyout, career: 8 years, 65-83, 4.29 ERA, 5.7 K/9, 2.7 BB/9, 1.400 WHIP, 12.1 WAR): Paul Maholm falls under the “crafty lefty” label, a la Jeff Francis, Bruce Chen, Everett Teaford and every other left-handed pitcher in baseball history not named Randy Johnson. He’s a sinkerball pitcher, which is capable of touching 90 mph, but that’s it. Same is the case with his four-seamer. His repetoire also includes a changeup, cutter, slider (all of which clock in the low 80’s), and a low-to-mid 70’s curveball. His overall career numbers aren’t anything to gawk over, but he’s been injury-free, averaging 30 starts per season. He’s a work-horse who can chew-up innings, which is highly valuable. If the Braves opt for the $500K buyout, Maholm could land basically anywhere. My guess is he could get 2-4 years with anywhere between $6-9 million per year. Jake Peavy RHP (age 31, $17 million w/ $22 million club option, $4 million buyout, career: 11 years, 120-93, 3.46 ERA, 8.7 K/9, 2.8 BB/9, 1.184 WHIP, 31.3 WAR, 2007 NL Cy Young): There’s no doubt that Peavy is capable of being a great pitcher. But there’s also no doubt that the White Sox will turn down his $22 million option in favor of paying Peavy $4 million to buyout the last year of his contract. Injuries have shortened Peavy’s past three seasons (not including 2012): 2009: 16 starts – strained tendon in ankle; 2010: 17 starts – detached muscle in back; 2011: 18 starts – lingering back injury issues, arm fatigue. But so far this season, Peavy has kept himself off the DL. In 30 starts, he’s 10-11 with a 3.40 ERA with a 1.134 WHIP and 180 K’s in 203.2 IP. At this point in his career, Peavy will be looking to join a perennial contender – possibly signing a few short-term deals before his career is over. Possibly 1-3 years, $18 million per. It’s a heavy price to pay, and his injury history may lower that number to $15-17 per. Francisco Liriano LHP (age 28, $5.5 million, career: 7 years, 53-53, 4.38 ERA, 9.1 K/9, 3.8 BB/9, 1.349 WHIP, 8.9 WAR): Liriano has battled to remain an effective starting pitcher over the past few seasons. When he’s on, he can be extremely effective – and at times unhittable. For example, his no-hitter in 2011, where he walked six, was his first, and thus far only, complete game. But he also has his demons. He’s undergone Tommy John surgery already (missed all of 2007), has battled many shoulder/elbow issues, has never eclipsed the 200-inning mark (191.2 in 2010), has made more than 30 starts only once (also in 2010), and has been bouncing back-and-forth between the starting rotation and the bullpen with both the Twins and White Sox this season. But Liriano does get his fair share of swings and misses, thanks to a fantastic mid-80’s slider, as well as low-to-mid 90 mph four and two-seam fastballs. I would guess, given his recent inconsistencies, that he’s in line for a possible one-year deal for around $6-9 million. 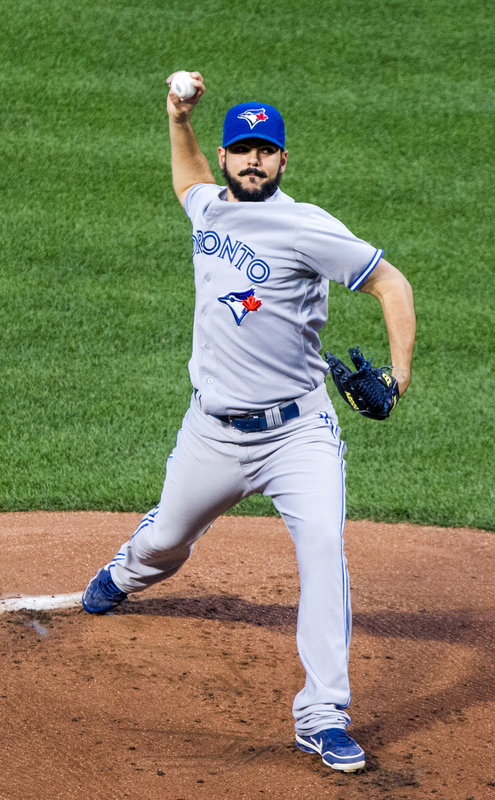 Carlos Villanueva RHP (age 29, $2.277 million, career: 7 years, 33-34, 4.21 ERA, 7.8 K/9, 3.1 BB/9, 1.292 WHIP, 5.2 WAR): According to the Toronto Sun (Kansas City Star article here), the Royals are already showing interest in the Blue Jays’ pending free agent. Classified as more of a “tweener”, Villanueva has spent the vast majority of his career coming out of the bullpen (300 appearances, 55 starts). Being primarily a starter in the minors before debuting in 2006, the Blue Jays opted to give him a chance as a starter this summer after their rotation was absolutely obliterated by the injury bug. Thus far, Carlos has done his job admirably. In 37 games this season (15 starts), he’s 7-6 with a 3.88 ERA with 115 Ks and 45 BBs in 120.2 IP. The Blue Jays have already stated their reluctance to give Villanueva a new deal, basing their stance on the fact that he hasn’t shown he can be this steady in the rotation over a full season. The Royals should be wary as well of offering him too much money with little history to back it up. But signing Villanueva would help create more comptetion come next spring while providing his valuable flexibility as either a starter or reliever. Pitching is always in high-demand, and Carlos figures to cash-in. He should get something like $20-25 million over 4-5 years – which is very do-able as far as the Royals are concerned. Joe Saunders LHP (age 32, $6 million, career: 8 years, 77-64, 4.15 ERA, 5.1 K/9, 2.8 BB/9, 1.369 WHIP, 8.5 WAR): Other than Liriano, Joe Saunders is the possibly the best lefty available. He’s very similar in body and pitching style to current Royal Will Smith. Joe has proven to be a durable arm, averaging 6 innings per start and 200+ innings per season. He doesn’t get a ton of strikeouts, but he keeps his walk numbers down and draws his fair share of groundball outs. The former top-prospect of the Angels has seen time with both the Diamondbacks and the Orioles throughout his career, proving he can pitch effectively in either league. He could garner a 2-3 year deal, and could earn up to or around $8 million per.